Susannah Wapshott is one of the top repetiteurs in the UK and is becoming increasingly in demand as a conductor. She is a member of music staff at Scottish Opera and Associate Chorus Master, and guests at other houses and orchestras. 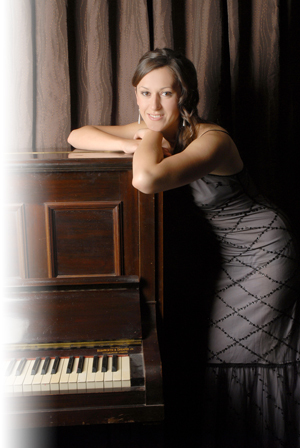 Susannah is the Music Director of Helensburgh Oratorio Choir. Wapshott’s is a name to watch. As well as working in opera, she enjoys the collaborative nature of chamber music and accompanying song and instrumental recitals. From the moment Susannah Wapshott, the music director, announces her arrival at the piano, the audience is spellbound. Upcoming projects include conducting the Unwraps of Katya Kabanova at Scottish Opera, Bernstein's Chichester Psalms and Mozart's Requiem with the Helensburgh Oratorio Choir, and Rachmaninoff's Piano Concerto no. 2 with the Grampian Youth Orchestra and Murray Mclachlan. Susannah is based in Glasgow and offers private coaching. If you would like to get in touch, please email her.